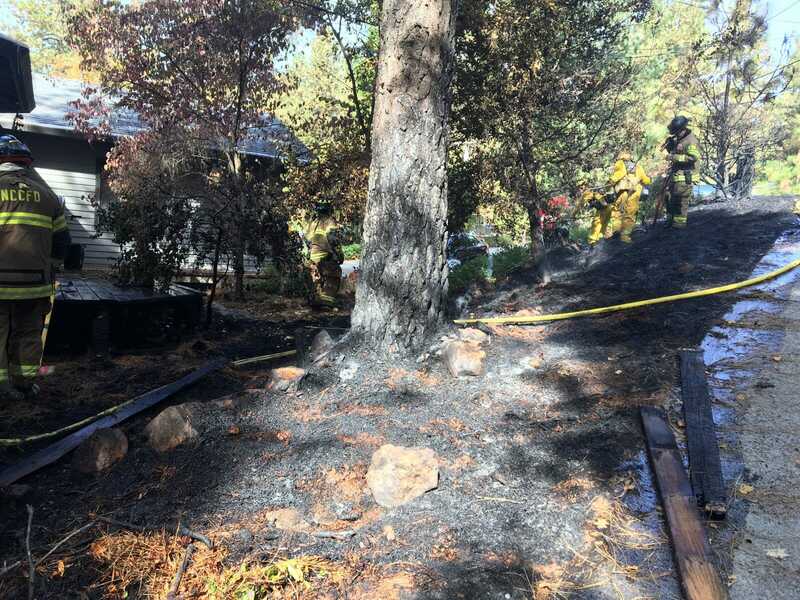 ALTA SIERRA, Calif. October 31, 2018 – Joint Operational Area (JOA) fire units responded to a reported vegetation fire with threat to a structure in the area of Joann Way in Alta Sierra. NCCFD Engine 89 arrived to find a large spot of vegetation involved along with an exterior deck to a residence. 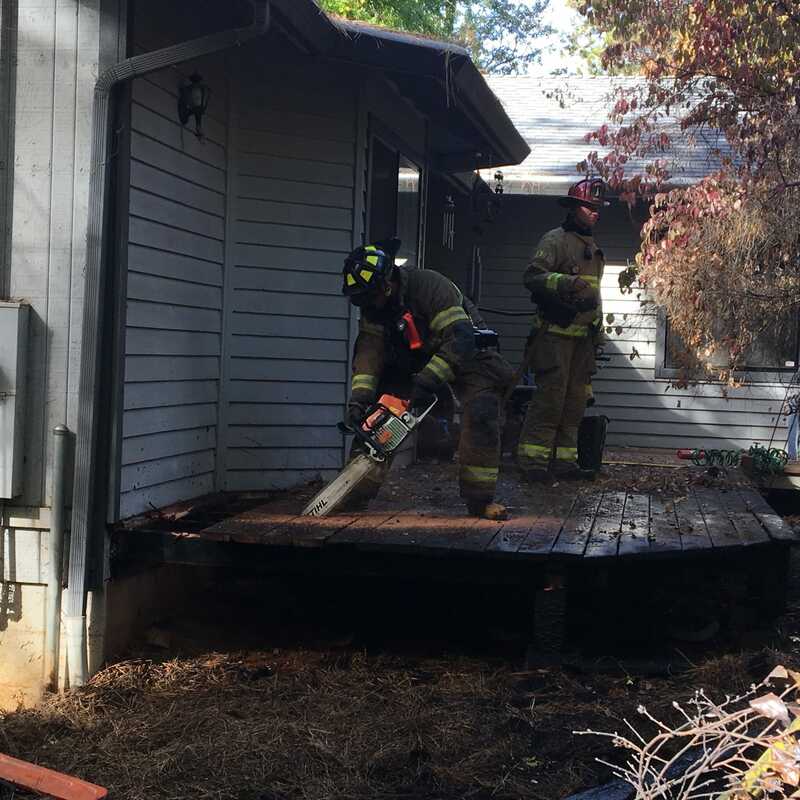 Crews were able to quickly contain the vegetation fire and prevent the deck fire from extending into the interior of the residence. The exterior deck was fire damaged requiring removal of portions of the deck by firefighters. JOA and Cal Fire crews remained at scene for overhaul until 12:55 pm. Grass Valley- Engine(E)1, E2 & Battalion 1, Nevada Co. Consolidated (NCCFD) E89, E88 & Prevention 1 were assisted by CAL FIRE. No injures were reported. Cause of the fire was determined to be discarded ashes.